​Keep Thomas County Beautiful has a mobile recycle trailer. The trailer is available for use on a first come basis for local events in the Thomas County area. For information on the trailer and possibility of using it during your event please contact our office. 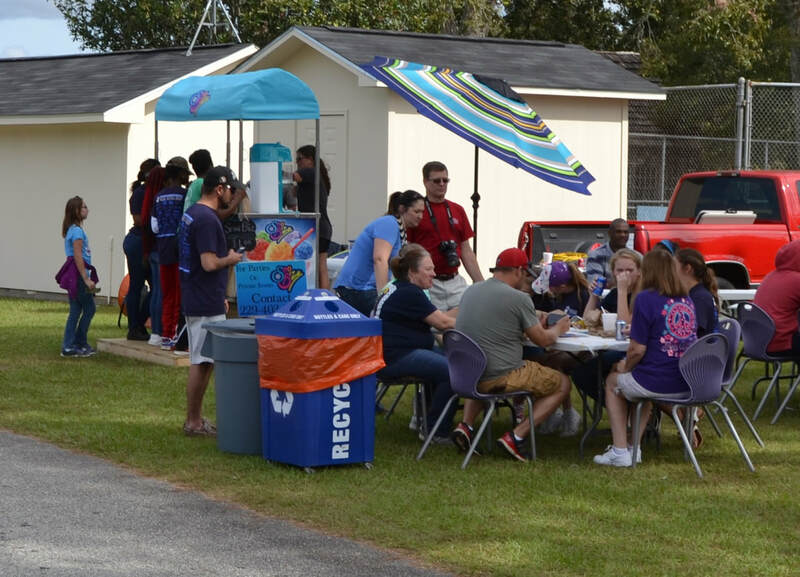 The KTCB Recycling trailer is used during every Thomasville High School home game. Members of the KTCB board and student volunteers distribute the recycling receptacles at various locations around the stadium before the start of each game. Volunteers get the opportunity to stay and enjoy the game and once the game is finished the receptacles are collected. The bags of recyclables are removed from the receptacles placed at a specified location for pick up where they will be taken to the county recycling facility. The empty receptacles are then placed back in the trailer so that it is ready for the next event. The recycling trailer made it's first appearance at the Thomasville Regional Airport during the 50th Annual Fly-in held in October. This is a huge three day event, with hundreds of planes flying in from all around the country. Visitors can get up close and personal with the aircraft, and enjoy food and activities throughout the weekend. For more information on the Fly-in you can contact Irv NeSmith at 229-403-1071 or email him at irvneva@earthlink.net. The future looks bright in their hands!